Fans of the film 'A.I. Artificial Intelligence' that was directed by Steven Spielberg and released in 2001, will be glad to read what is happening over at TNT reading a TV show. BEVERLY HILLS, CA (March 1, 2016) ­ EuropaCorp TV USA announced today the sale of Artificial Intelligence to TNT. The show will be penned by Luc Besson and Bill Wheeler, who together will co-create and executive produce the series. AI marks the first time Besson has written a television series for the US market. Besson is considering directing the pilot as well, which would be another first for the acclaimed film director. objective, while simultaneously working to counter its rapid maneuvers and warn the world of imminent dangers. Also serving as EP¹s on AI are Matthew Gross (BODY OF PROOF, SONS OF LIBERTY, upcoming TAKEN series), Edouard de Vesinne and Thomas Anargyros. The project is a co-production between EuropaCorp TV USA and TNT Studios. Bill Wheeler's upcoming projects include "Queen of Katwe", starring David Oleyowo and Lupita N'yongo which Disney is releasing next year, and DreamWorks "Ghost in the Shell" directed by Rupert Sanders and starring Scarlett Johanssen and Sam Riley, to be released in 2017. Most recently, Wheeler - along with his brother Tom Wheeler - was tapped to write the upcoming Lego franchise: "Ninjago². Luc Besson has written, directed and produced over 100 feature films over the last thirty years including acclaimed movies such as LA FEMME NIKITA, LEON: THE PROFESSIONAL, THE FIFTH ELEMENT, the TRANSPORTER franchise, the billion-dollar TAKEN franchise, LUCY as well as the upcoming $200 million dollar space-opera VALERIAN AND THE CITY OF A THOUSAND PLANETS. He is also an Executive Producer on the upcoming TV adaptation of TAKEN for NBC. EuropaCorp Television finances, produces, and distributes television shows for American networks and around the world, and most recently sold TAKEN straight to series to NBC, as well as projects to Amazon, FOX and ABC. EuropaCorp TV Studios USA is headed by Matthew Gross. Bill Wheeler is represented by UTA and Anonymous Content and Darren Trattner of Jackoway, Tyerman, Werthheimer, Austen, Mandelbaum, Morris and Klein. If you are not familiar with the movie or the story that inspired it all. Here is a movie trailer for 'A.I. 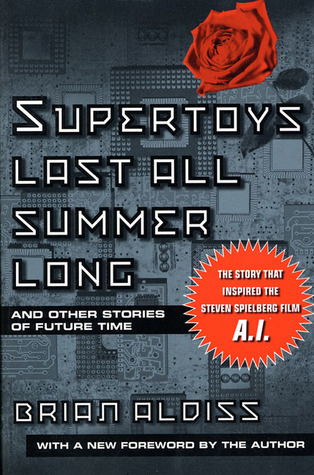 Artificial Intelligence' and the novel Supertoys Last All Summer Long: And Other Stories of Future Time that inspired it.